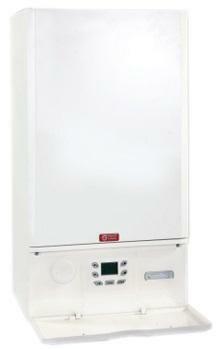 The Quantec Regular Gas Boiler is a highly reliable boiler that comes with a wide range of features and benefits. Manufactured by Johnson & Starley, this condensing wall mounted boiler is a compact unit to help save you some much needed space in your home. Even though it’s compact in size, with dimensions of 780 x 423 x 321, it’s still able to function at the same standard as a normal sized boiler. Designed with reliability and performance in mind, this boiler has a high efficiency rating of 89%, giving it an ErP rating A. Plumbing is said to be reduced to almost invisible levels with this unit, and can help to save you money on your energy bills, by as much as 26% in hot water. This boiler helps to reduce Co emissions and is 100% recyclable. This highly reliable boiler comes with a wide range of features such as a full condense stainless steel heat exchanger with cool door technology, integral pass flue gas heat recovery, and low levels of carbon and NOx. Coming with an output rating of 16kW, this boiler is perfectly suited to smaller homes that only have one bathroom and not such an excessive need for heating and hot water. Also available in an output of 24kW that’s making it perfect for the smaller to medium sized homes. This highly reliable boiler is a Regular unit, which means that it heats your central heating system directly and also produces hot water for your cylinder. Due to the fact that you need a hot water cylinder, which is often fed by a cold water storage cistern located in the attic, this boiler type is not suitable for the smaller homes or homes where space is limited. Featuring a 5 year warranty, you’ll be given the peace of mind that this boiler isn’t going to let you down.